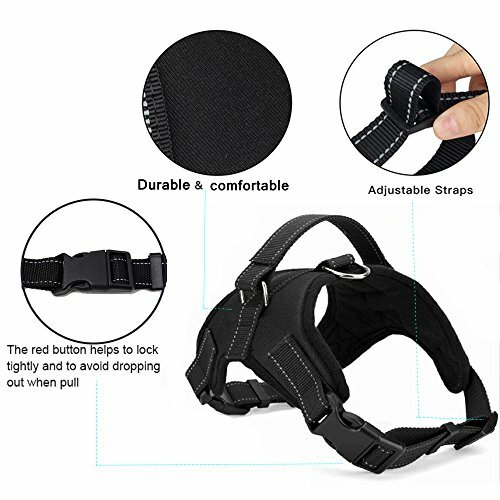 Heavy duty and safety dog harness--The harness made of premium quality 600D Oxford fabric which is with fully padded , no pull, soft and comfortable for all of your small medium large xl breeds dog. And the reflective stitching well made in the nylon strap keeps your dog friend safe and visible at night. 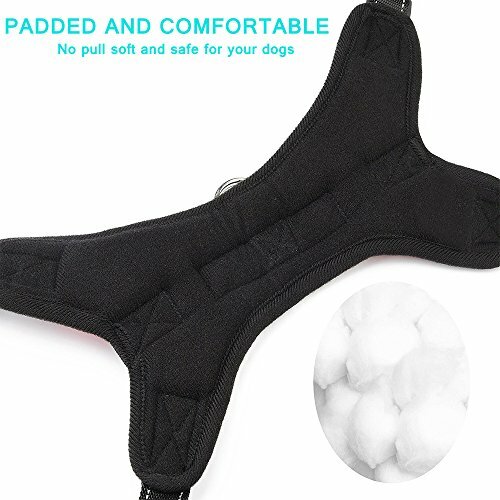 Adjustable pet hanrness-- 4 different size (S/M/L/XL) which perfects for all breed pets. S- chest:17.55-38.64", Neck:15.6-18.72"; M-Chest:19.89-24.96",neck: 15.6-18.72"; L-chest:24.57-32.76", neck:21.06-27.3"; XL-chest :28.08-35.88", neck:23.4-28.86". 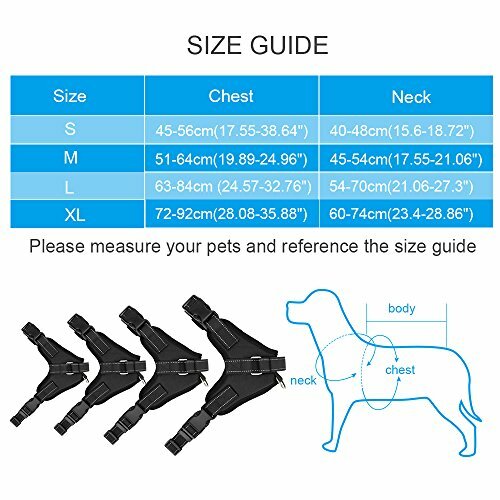 Please read the thesize chart and take a measure to ensure it will fit your pet before purchasing. Two snaps, one goes around neck of dogs and one around body of dogs to keep the straps are fully adjustable. Easy to take on/off--Quick release buckles, easy to put on and put off, does not rub their skin or pull on their fur ,which makes things simple.Ideal dog harness for easy walking, jogging, running, hiking or training Dog harness with handle--The vest harness has a build in handle on the top of back so you can use it to keep your dogs walking right next to you and assist dogs up and over obstacles when walking. 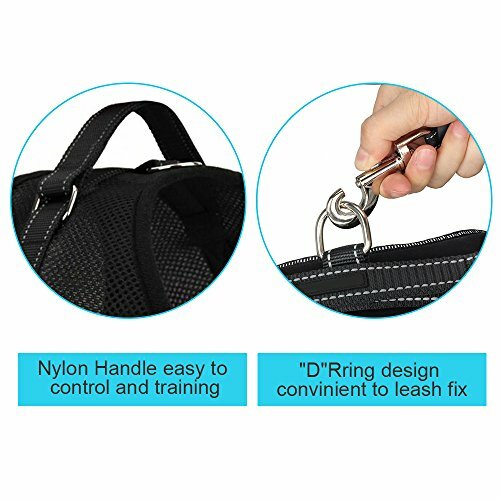 or you can attach a leash to the metal ring in the center allowing the dog to walk ahead of you. great walking harness.